Lot # 127: 1938 Goudey “Heads-Up” #279 Julius Solters (PSA NM/MT+ 8.5) - “1 of 1”; Only 1 Graded Higher! 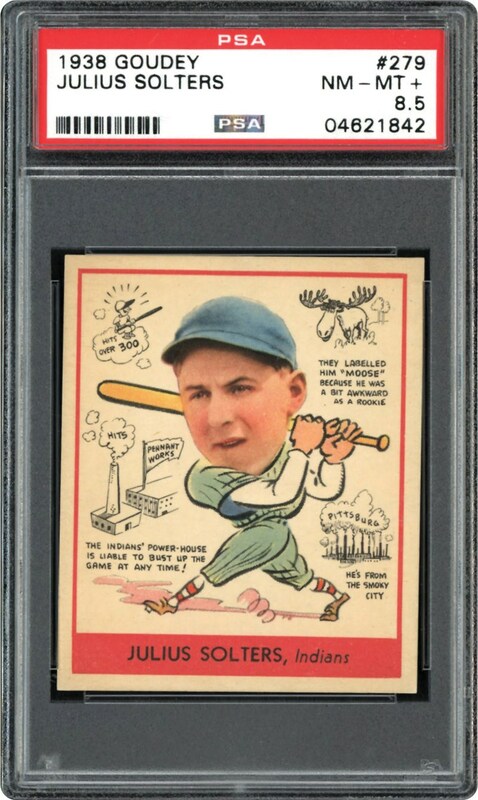 1938 Goudey "Heads-Up" #279 Julius Solters (PSA NM/MT+ 8.5) - "1 of 1"; Only 1 Graded Higher! 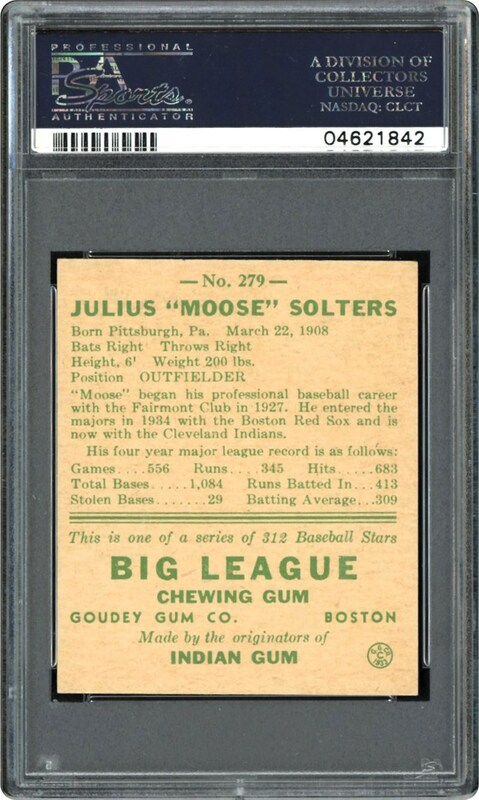 This extraordinary 1938 Goudey "Heads-Up" PSA NM/MT+ 8.5 Julius Solters gem currently resides as the sole example at this stratospheric tier with only a single specimen graded higher! The Cleveland Indians outfielder's classic swinging pose is extremely well centered, with the popular small black anecdotes, brilliant surfaces, and pinpoint corners all contributing to the sanctified assessment. Its "rare for the grade" distinction is easily substantiated by PSA's "Pop" chart that only reveals 26 of the 5,400+ encapsulated examples (a microscopic 0.5%) at this ultra-scarce grade!